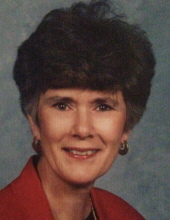 Gail Thompson Avery, 81, of Montville NJ passed away peacefully Monday, February 11, 2019. Gail battled Alzheimer's for many years and will be missed by many. Born in Princeton, NJ on March 31, 1937, the daughter of Frederick Thompson Sr. and Emily Louise (Wright) Thompson, Gail grew up in Somerville and later resided in Morristown. She is pre-deceased by both of her parents and her brother Robert Thompson. Gail graduated from Mtn. Lakes High School and attended the Mandl School for Medical Office Assistants in NYC. Gail worked as a lab tech. at Morristown Memorial Hospital and later sold real estate for many years. She enjoyed racing cars, golfing, dancing, skiing, and being with her family. She was an active member at St. Peter's Episcopal Church and a member of the Zonta Club. Gail is survived by her children, David Avery, Scott Avery and his wife Lori, Lynne Avery, granddaughters Jennifer and Julie, brothers Frederick Thompson Jr. and Joseph Thompson, her nieces and nephews. Visitation will be Saturday, February 16, 2019 at Doyle's Funeral Home in Morristown, NJ from 10am-1pm. Repass to follow. To send flowers or a remembrance gift to the family of Gail T Avery, please visit our Tribute Store. "Email Address" would like to share the life celebration of Gail T Avery. Click on the "link" to go to share a favorite memory or leave a condolence message for the family.